Welcome to the world of Current Affairs 2017. 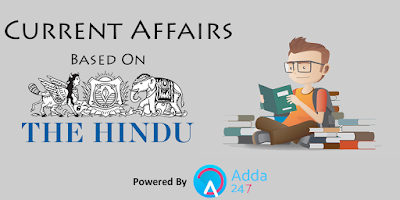 With IBPS PO and Clerk Mains round the corner, it should be your priority to cover every aspect of Current Affairs on a daily basis for IBPS PO and Clerk Mains so that you can do well in the exam. These current affairs are based on current news. Let us see how many questions you attempt accurately. Q1. Who is the chairman of National Disaster Management Authority (NDMA) headquartered at New Delhi? Sol. Non-banking financial companies (NBFCs) cannot outsource core management functions like internal audit, strategic and compliance functions for know your customer (KYC) norms, sanction of loans and management of investment portfolio. In a notification on its website, RBI issued fresh directions on managing risks and code of conduct in outsourcing of financial services by NBFCs. Q3. Which state has become the first to treat Hepatitis-C patients through oral medicine? Q4. Who heads the seven member committee formed by the Union Environment Ministry to formulate short and long-term measures to solve the problem of air pollution in the Delhi-NCR region? Sol.The Union Ministry held a meeting headed by Environment Secretary C.K. Mishra along with the Supreme Court-appointed Environment Pollution (Prevention & Control) Authority (EPCA) chairman Bhure Lal and member Sunita Narain, along with officials from the Central Pollution Control Board (CPCB).The seven-member committee which will be headed by Environment Secretary Mishra also includes Secretary Science and Technology Prof Ashutosh Sharma, Secretary Department of Biotechnology Prof K. Vijay Raghavan, Chairman CPCB S.P. Singh Parihar, Chief Secretary, Delhi M.M. Kutty. Q5. Who inagurated the ‘India Disaster Response Summit’ in New Delhi organised jointly by the National Disaster Management Authority (NDMA) and Facebook? Sol. Union Minister of State for Home Affairs, Kiren Rijiju- inaugurated 'India Disaster Response Summit'in New Delhi- jointly organised by NDMA and Facebook.The summit focuses on how best to leverage social media platforms to 'prepare, respond and recover' for, during and after a disaster. Q6. The Union Home Ministry has formed two new divisions to exclusively deal with emerging security challenges . The two divisions are CTCR to focus on tracking and assessing the online reach of global terrorist outfits and CIS to monitor online crimes and threats. What does 'R' stand for? Q7.The _____________ has been named as the recipient of the Mother Teresa Memorial Award for Social Justice, 2017 instituted by Harmony Foundation. with theme for 2017 as "Compassion Beyond Borders"
Sol. Noted author and Padma Shri awardee Manu Sharma died in Varanasi, Uttar Pradesh. He was a recipient of Yash Bharti Award of the Uttar Pradesh government. Q9. Who succeeds Irina Bokova of Bulgaria as UNESCO's second woman director general after member states confirmed the nomination to head the cultural agency? Sol. UNESCO member states confirmed the nomination of France's former culture minister Audrey Azoulay to head the cultural agency. 45-year-old Azoulay becomes UNESCO's second woman director general.Ms Azoulay is the 11th Director-General of UNESCO. She will take office on 15 November 2017. Q10. As per the recommendations of the 7th Pay Commission, the government has raised the maximum amount that a central government employee can borrow from the government to Rs ________________ for new construction/purchase of new house/flat. Sol. The total amount of advance that a central government employee can borrow from government has been revised upwards. The employee can borrow upto 34 months of the basic pay subject to a maximum of Rs 25 lakh, or cost of the house/flat, or the amount according to repaying capacity, whichever is the least for new construction/purchase of new house/flat. Earlier this limit was only Rs 7.50 lakh. 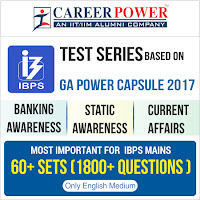 Check IBPS RRB Office Assistant Result Now!